Liza Ralston has had more adventure in her life than she ever wanted. Leaving her settled existence with friends and family in St. Louis to travel to the Big Sky country of wild Montana with her father, she soon wishes she could turn the clock back. When their scout is murdered and her father is severely wounded by thieves, the Pikuni tribe led by Crying Wind takes them in. 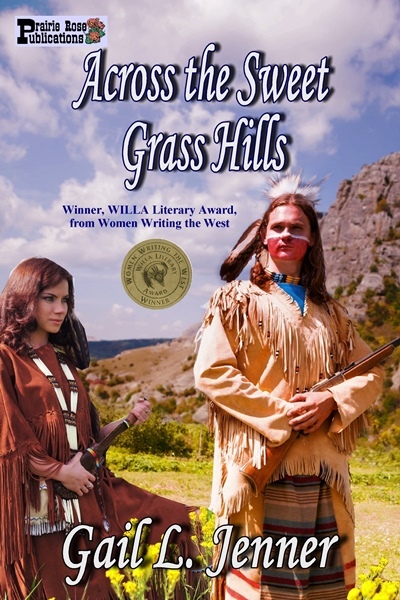 But Liza wants nothing more than to return to St. Louis, despite her growing attraction for Red Eagle, the handsome son of a white trapper and Blackfeet mother. Red Eagle has tried to help Liza and her father, but Liza has a mind of her own. She doesn’t understand that the refined ways of civilized society in St. Louis have not yet reached the untamed land she is traveling now with her missionary father—a man who has secrets of his own that he is unwilling to share. She is left with no choice but to accept the help of Red Eagle’s tribe to save the life of her father. But the events leading up to Baker’s Massacre of 1870 force her to discover a new path for herself—a path leading to love, redemption…and revenge.